The Naptown Buzz target audience consists of adults, both male & female, living in the Greater Indianapolis, Indiana area. We cover a wide range of topics, from sports & entertainment to food & drink and anything in between. 1,500 total downloads & streams per month. Indianapolis area business listings can currently be added for as little as $9.97 per month! Visit naptownbuzz.com/directory/ for more information and to sign up today! Job Board Listings are currently $5 each for Business Directory Members and $15 each for non-members. Job Board Listings are included in one (1) newsletter as well. Naptown Buzz Business Partners receive one (1) listing in the Naptown Buzz Business Directory, one (1) complimentary Job Board Listing per month as well as Partner Only Promotional Offerings. As a Naptown Buzz Business Partner you will also receive one (1) membership for Naptown’s INNER BUZZ as well (currently $59.99 per year). Naptown Buzz Business Partner Packages start at $25 per month. Note that all banner ads are STATIC for the duration. Please contact us for more information. 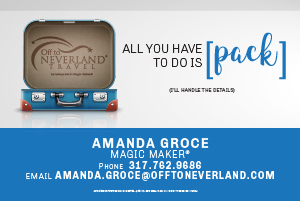 A 468 x 60 image based banner ad in the Naptown Buzz Newsletter. A text based ad in the Naptown Buzz Newsletter. Limited to 200 characters. We will give you, your company, your event, etc. a promotional plug on an episode of the Naptown Buzz podcast & include a related link in the show notes. Note: As of January 2017 we have switched this to a monthly based, as opposed to episode based. If you desire a single episode instead, please contact us. Includes your link in the show notes and a ~30 second mid-roll spot during the episode. Includes your logo or banner in the show notes with your link, a ~15 second pre-roll, a ~30 second mid-roll spot & a closing thank you spot.